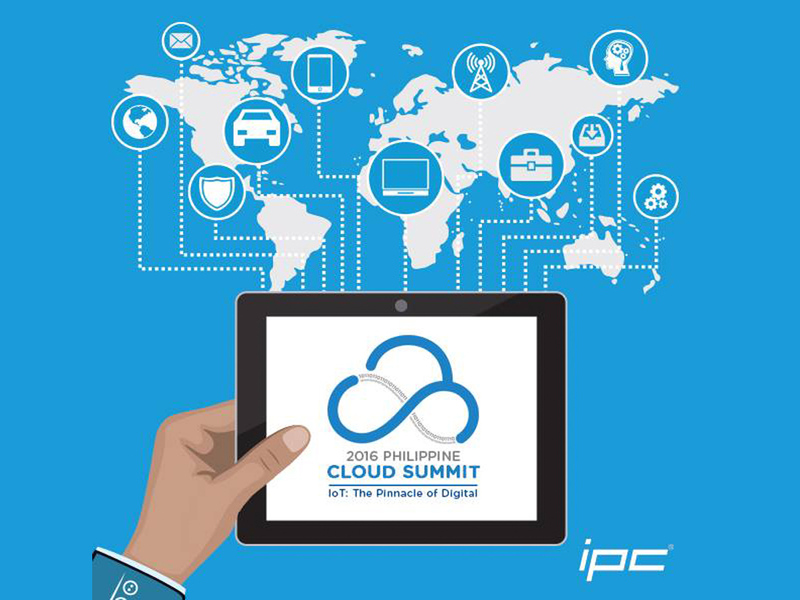 Local cloud computing pioneer IPC is holding the 2016 Philippine Cloud Summit tomorrow, June 29, 2016, at the SMX Convention Center at SM Aura Premier, Bonifacio Global City. Entitled “IoT: The Pinnacle of Digital”, the event will pool together executives, entrepreneurs, and technology buffs to talk about the global shift towards digital and the growing use of the Internet of Things (IoT). The event is free to attend but registration is recommended. Last-minute registrations can still be made at www.phcloudsummit.com. To cater to those based outside Metro Manila, IPC will livestream the plenary that will feature speakers Foong King-Yew Foong, Research VP and Chief of Research for Communications Service Providers at Gartner, the world's leading information technology research and advisory company, and Kenneth Siow, Head of Strategic Sales and Business Development – Asia at tech giant Google. The event kicks off at 8:30 A.M. PHT. Catch the live webcast at www.phcloudsummit.com/livestream. Other speakers will be from CloudSigma, Nexusguard, Imperva Incapsula, CR8V Web Services, Salesforce, Time Doctor, PLDT Enterprise, and PayMaya. 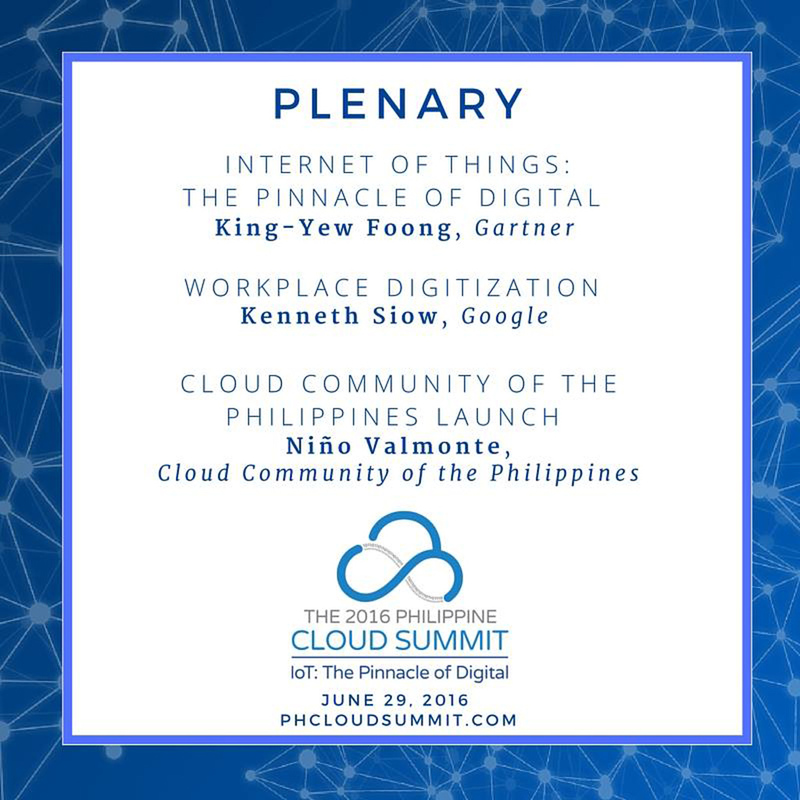 Apart from bringing together an elite lineup of speakers to tackle various aspects of enterprise IT, IPC is also set to formally launch the Cloud Community of the Philippines (CloudComPH), a vendor-agnostic community for cloud users and enthusiasts, at the event. IPC earlier announced that CloudComPH will serve as a venue for the sharing of ideas and best practices, whether technical or operational, among individuals who build, develop, maintain and use cloud computing infrastructure, platforms, and applications in the country.